Luxury Real Estate Marketing Tip: Follow Your Passion for Architecture! As a luxury real estate marketing professional, the more you understand about great architecture the more you will be able to relate to buyers and sellers of architecturally significant homes. If you have a passion for architecture specializing in selling these types of luxury homes could be the perfect niche for you. Follow your passion for architecture! 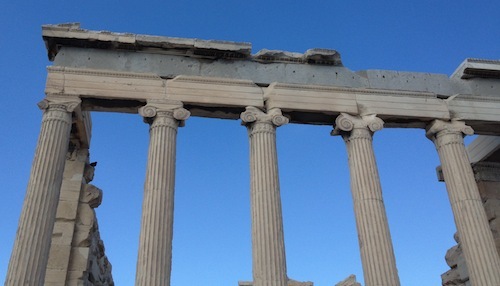 On our recent trip to the Acropolis in Athens, Greece we had the privilege of visiting one the most spectacular museums in the world: The Acropolis Museum. It is an architectural masterpiece! and circumstances of the site provide an extraordinary architectural opportunity, “offering a simple and precise museum with the mathematical and conceptual clarity of ancient Greece”, according to Bernard Tschumi, Architect. An abundance of natural light is a major factor that contributes to the enjoyment of the exhibits, as a visitor. This is possible due to the fact that the majority of the objects displayed in the museum are sculptures (vs. paintings, photographs or drawings). Through large high-tech glass windows that protect the structure from over-heating, you also have a magnificent, direct view of the Acropolis itself. The visitors’ route through the museum forms a clear three-dimensional loop. The base (ground floor) of the museum floats over the existing archaeological excavations on columns that protect and sanctify the site. The ground floor is primarily made of clear glass allowing over 10,000 visitors per day to view and literally walk over the ruins. 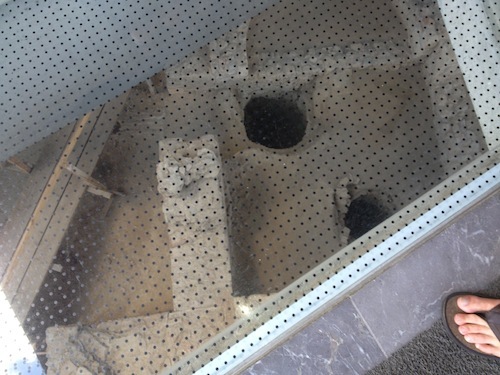 From the very top of the museum, through an open atrium, you can actually see all the way down to the excavations. Perhaps the most amazing aspect of the architectural design is the exterior of the building. Viewing the museum from one angle it appears that there are metal columns that mirror the ancient columns of the Parthenon. But, as you continue to walk around the structure it becomes clear that these are just the rounded edges of massive striated overlapping steel walls. Absolutely brilliant design! Study great architecture at every opportunity. It will pay off for you in your luxury real estate marketing career. Follow your passion for architecture!